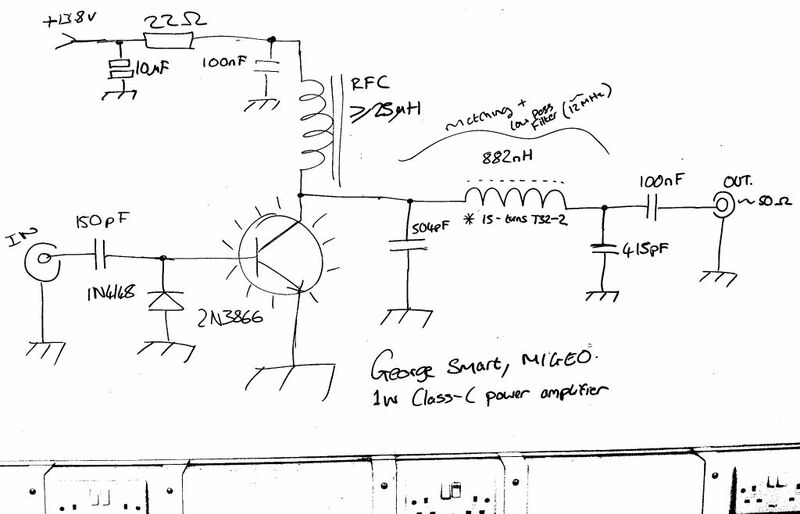 I have not yet had time to digitise the schematic, so it’s offered here as a hand-drawn diagram. The output matching network is also a first-order low-pass filter. 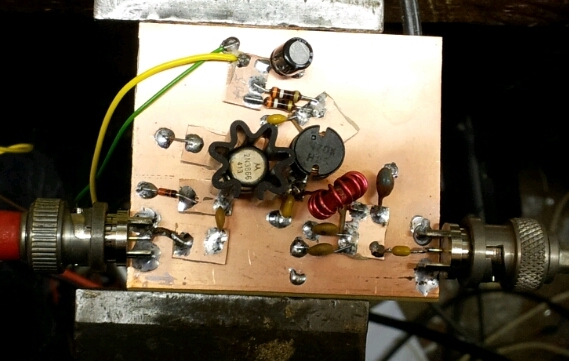 To test the design worked in concept, I make a version of the amplifier in Manhattan style, and can confirm it does indeed work. I added a slightly larger heat-sink to the 2N3866 to better cool it.